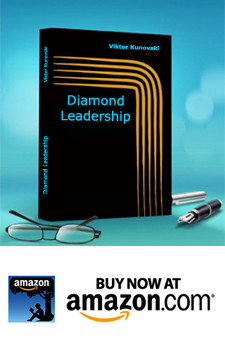 Home › Diamonding › How are you maximizing your social media as leadership and transformation tool? If appropriately used and guided by a skillful conscious chef (I will stop with the analogy here and call my chef a systemic leader) SM tools could and I believe will provide the platform for staging the biggest consciousness and social change the humanity has seen. Let me illustrate this further with a simple example. A certain “influential” person has 1 million followers on twitter. Someone else has 10 million Facebook fans/friends. I have chosen this numbers randomly but you’ll get my point. Because of the audience his/her twitter/fb – social media activities have massive gravity. Malcolm Gladwell, the author of the book The Tipping Point calls people like this “connectors”. Now this person can tweet something simple, like “I am in GUCCI” London shopping for shoes. His/her tweet could be replied, twitted again and again. And this is all interesting, funny and beautiful in many ways. However, it is self centered expression and has no meaning or call for action for the whole – the wider system. “How are we minimizing the CO2 in our town? What could we do today?” etc. I believe you can see and feel the difference between the first example and the second. In the context of organizational management and social change, if we consciously use the SM tools we can design amazing results. If you are asking yourself how SM could assist us in doing so, I would like to share some examples and my experiences. Managing change could be assisted by several simple things that don’t require you to have a CEO position or PhD in governance. Like all strategies, change starts with a question. What do we want, where do we want to be, how do we want to see things? Questions invite us to participate and engage. They are particularly powerful because they make us think. When they are well constructed and meaningful, they touch people and add value to the dialogue/conversations we have. Statements and comments do not have such an impact on us. Key questions create group dialogues and assist the processes of emergence of collective intelligence. What question has value and meaning for me(you) right now? If the system is our town, a meaningful question could be “How could we design our town to meet the economic and environmental challenges in front of us?”. If the system is our organization key question could be “How could we create excellence in our work and share it with our clients”? Perhaps a key question for the president or the prime ministers would be “How do we lead our nation to its highest potentials and contribute to humanity”. I am just offering food for your thoughts, please explore and experiment with your own key questions you want to ask. In my post named systemic leadership, I argue that each of us could, should and is a leader. The gap between “could be” and is “a leader” exists in between the space of “I don’t care about this” and “I am taking conscious actions on this”. If you wait for someone else to sort the problems (challenges) in your life, and assume a passive role without participating, than you are still “could be” leader. The moment you consciously decide to make some kind of change and take a step in this direction you are assuming the role and the position of a leader. This first step could be as small (or as big) as posting a key question on twitter or fb. When it comes to senior leaders, because our world still uses the good old fashioned top down leadership, the conscious commitment from these people is still paramount and is very necessary. There is a massive difference in the performances of those organizations who are guided by conscious committed leaders and those who are not. There is valuable difference if a CEO asks “what are the values and culture we need for greatness?” than if he does not ask questions like this. When it comes to the mix of social media, large organizational and culture transformations the power of the CEO, president or prime minister is uttermost because of his followers. A single key question posted by these people could often spark viral discussion, touch millions and make them think, aware and responsible by simply dwelling on that “meaningful question”. We need to post meaningful questions that spark equally meaningful dialogues. Take a look at this numbers from (17 Feb 2013): Richard Branson the CEO of Virgin has 2.9 million twitter followers. Bill Gates has 9.7 million twitter audience, Mayor of London, Boris Johnson holds 629 000. Imagine an alliance of global leaders, that hold in continuity, powerful global key question? Some astonishing numbers come from the showbiz world. Rihanna has 28.3 million, Lady Gaga 31.14million twitter followers. A single powerful key question from these people could set an avalanche of meaningful transformative energy. Yet, we do not have to have such a big audience to become a leader and start a positive change. A small group of like minded street neighbours could be enough. New parks, playgrounds have been started like this. 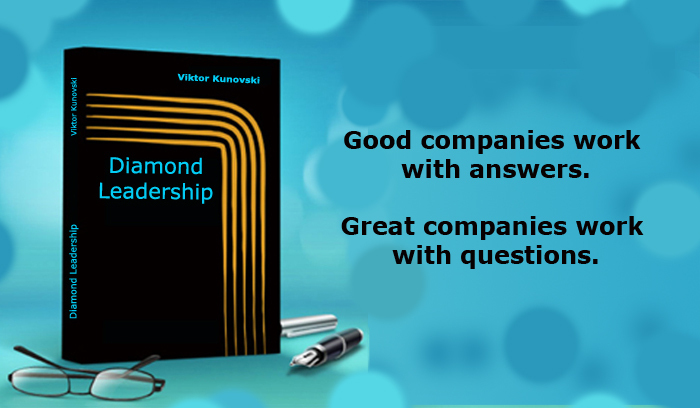 The conscious leaders are there to design, remind and hold key questions. They have to do this because the current challenges we face on local and global levels can’t be solved if we don’t involve majority of people within a system. Conscious use of social media tools, added by conscious leadership that asks key questions could make a big difference. The power of numbers and the speed that these tools offer, provides incredible platform for managing and leading organizational and social change programmes. before sharing my opinion about how we engage the rest of the workforce, let me give the links I mentioned. This is the CEO (Dutch man) and the CHR of UNILEVER talking about the process of culture transformation within the company. Hi! Thanks for this great post, it is very inspiring. I fully agree with you on the involvement of the whole system that is needed to fully leverage the power of social media. In organizations, there are always people who are front runners, they like to look out for new things and want to share with others. My question is, how do we engage the rest of the workforce? btw. i would be very interested in those links. the tools for measurement of the culture I am referring to, are ultra modern, in my experience they are extremely precise and most importantly they are very cheep. Today more and ore nations will use them since the results they have given in the corporate sector are also fantastic. More than 2000 companies have used the CTT. I am not saying that the measurement will change the culture by itself. No that is not possible, still this is essential first start and a diagnostic step before starting any strategy development or change management efforts within a system. This weblog is superior it’s bought the entire points i sought after to communicate about, it’s fulfilled my wisdom, i just appreciated this weblog and that i want to subscribe so are you able to please inform even though your blog gets as much as date and what?s the process to subscribe in details. Reblogged this on DIAMOND LEADERSHIP.